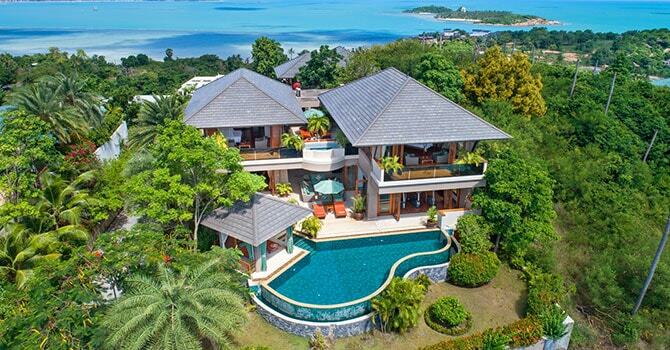 Luxury Waterfront 4 bedroom Villa Nagisa on incredible Plai Laem Beach features stunning panoramic Ocean Views of Koh Samui. This luxury 4 bedroom villa features expansive sea views and two spectacular sunrise and sunset pools near the stunning paradise of Plai Laem. 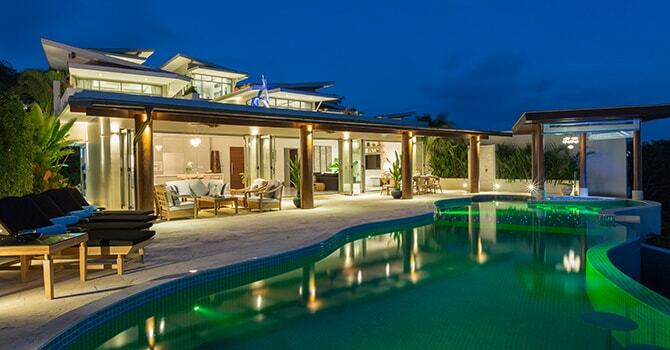 This luxury 4 bedroom sea view villa is spectacular, featuring a sparkling seafront infinity pool and private gym on the beach in tropical Plai Lem. 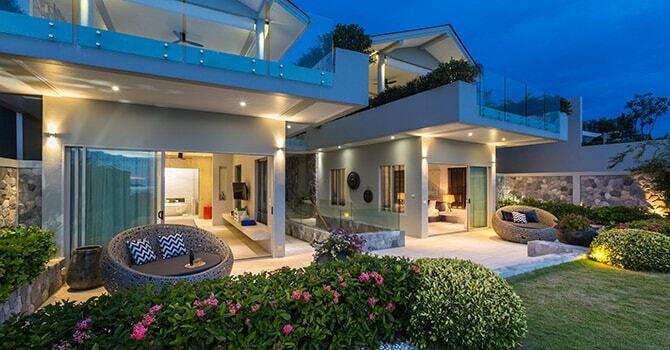 A 4 bedroom contemporary villa in a beautifully appointed estate with great facilities, in the popular area of Plai Leam. 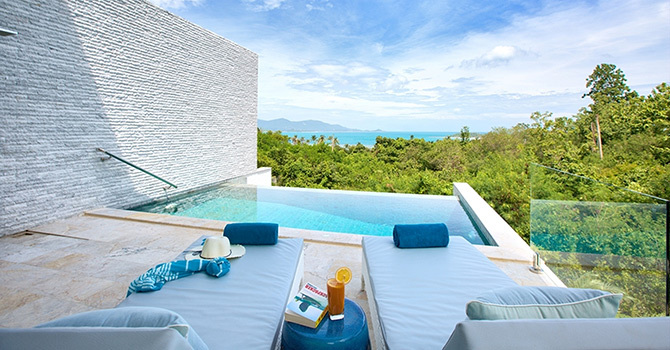 A 3 bedroom luxury villa Thailand getaway in Plai Laem, with a private infinity pool overlooking the beach with chic furnishings and design.